Deciduous shrub. Slow growth. Upright form. 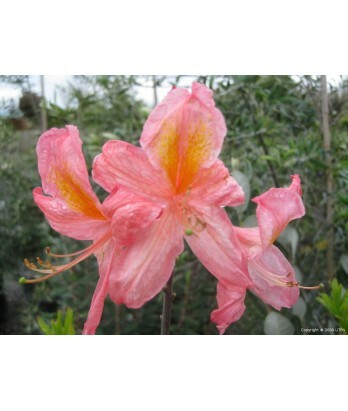 Large clusters of big fragrant pink or salmon colored flowers in May. Great variation in shades of pink coloration from plant to plant. Foliage turns orange-red to dark red in fall. Regular water needs in well-drained soil once established.